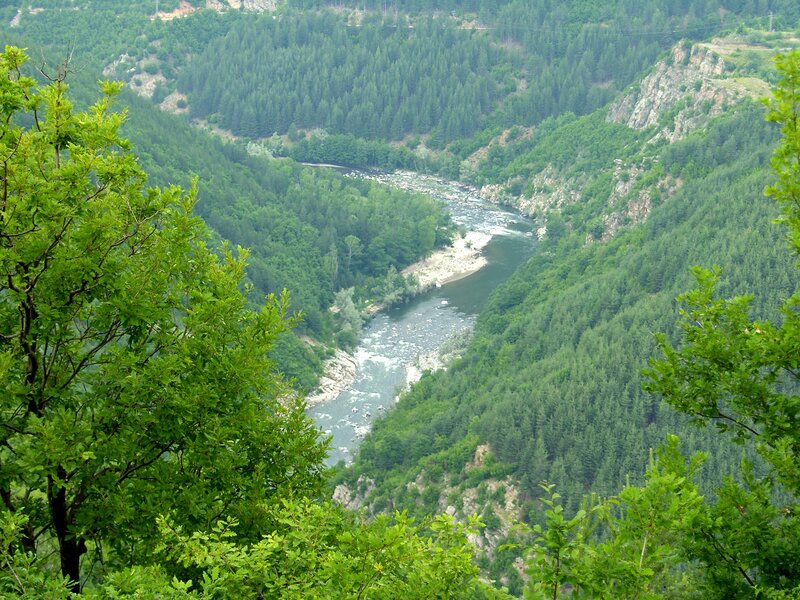 Arda river is the biggest right tributary of Marica river and the biggest river in the Rhodopes mountain. It rises from Ardinski peak in the Rhodopes and flows into Marica river outside the territory of Bulgaria. Its length in Bulgaria is 241.3km. Despite its low altitude, the river valley is characterized with one of the highest flow rates in Bulgaria with 14l/s/km2. The water catching basin is with strong Mediterranean influence. The basin is the only one in Bul-garia running parallel to the White Sea coastline and standing away 40km-60km from it. That causes the seasonal high waters distribution (mainly in winter time) and the high waves resulting from snow melting and heavy rain. Although the river is with mountainous characteristics, it has a low average inclination of 5.8% and a relatively high curvedness coefficient – 1.9. A proof of that are the extremely beautiful curves (meandres) winding around huge rock massifs and hills in the middle course of the river. 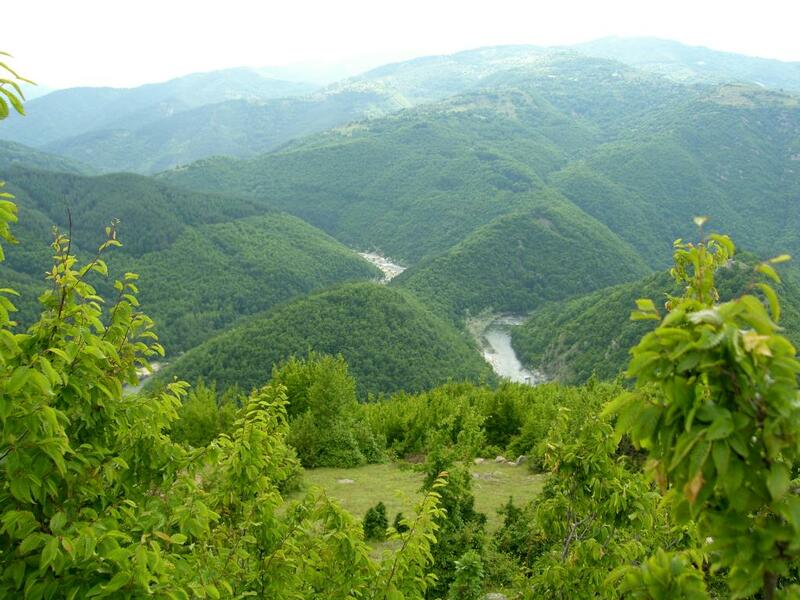 Arda is passing through the Eastern Rhodopes, which are a versatile, very indented and relatively low mountain range. This is a prerequisite for broadened basin formations in the shape of valleys. 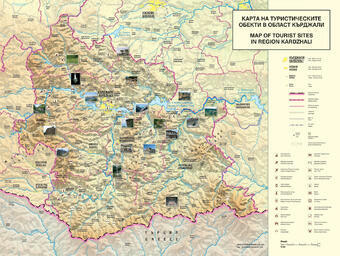 On the territory of Kardzhali district the two major valleys are Kardzhali val-ley and Shirokopolskata valley. 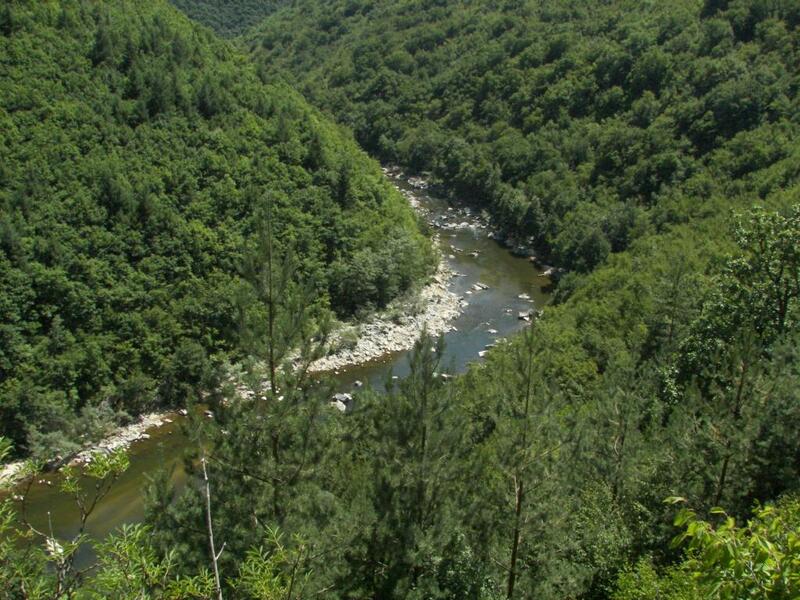 There is a wide river terrace in the area between “Kardzhali” dam and “Studen kladenec” dam. Since ancient times river beds have been a preferred area for building of settlements. The same is valid for Arda river bed and its bigger tributaries. During construction works in Kardzhali district was excavated a settlement from the 6th mill.B.C. Most of the finds are stored in the Regional Historical Museum. On almost every hill along the river’s meanders are preserved the remains of fortresses. 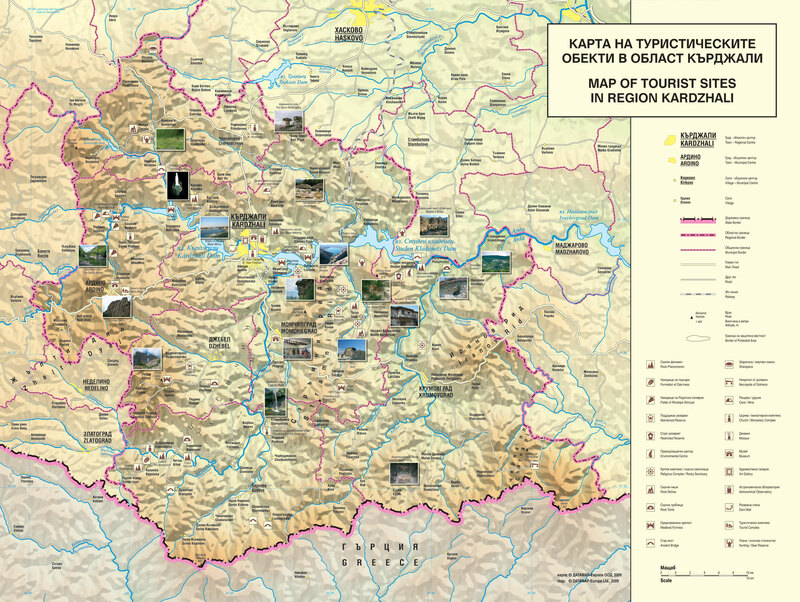 Such fortresses are “Krivus” near Bashevo village, “Patmos” near “Borovica” mountain cottage, “Monyak” near Kardzhali and others. Stone bridges were constructed following the ancient roads to the White Sea region. They impress even now with the original architecture and sizes. One entirely preserved bridge is the Devil’s bridge in the area of Diadovci village close to the town of Ardino. Remains of partially preserved bridges could be seen close to the villages of Suhovo and Borovica, and three more bridges are submerged in the dams’ waters. The river and the dams along its course are a pleasant place for rest and tourism and are full with fish becoming a favorite fishing site for many keen fishermen.